How do you deal with ESL students who frequently fail to improve? Failure often leaves students (and teachers) with a sad and puzzling feeling. Formative and summative assessments are excellent tools to help track student progress. They also may reflect on the overall effectiveness of the teacher’s methods. What went wrong? I thought I understood this! If you only paid more attention in class, then you would have received a higher grade. These and other thoughts may ring in students’ heads as they see that low score (or for teachers, when they write that score). In ESL classrooms, failure might happen on a grammar or vocabulary exam. It may also happen while students are asked to speak (i.e. a role play, speech, or general answer). 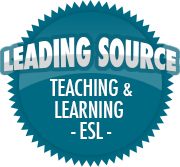 ESL students are heavily dependent on guided practice while in a classroom setting. Countries such as China, South Korea, and Japan have a low percentage of English speakers overall. English is rarely used outside of the classroom, so students receive little to no practice in daily communication. A communication breakdown doesn’t mean the end, but allows teachers to focus on areas that need improvement. It became popular in the 1970s and early ’80s in Europe first, then moved over to the United States. Communicative Language Teaching (CLT) emphasizes using a meaningful exchange of language rather than simple call and response. Many ESL teaching methods still rely on traditional tests, teacher-led drills, and excessive teacher talk time. While traditional tests, drills and teacher lectures aren’t bad, in fact sometimes they are very necessary to check for comprehension and ensure the students correctly pronounce words and phrases. But such techniques don’t allow for meaningful practice for the learners. An emphasis on learning to communicate through interaction in the target language. The introduction of authentic texts into the learning situation. An enhancement of the learner’s own personal experiences as important contributing elements to classroom learning. These five features show a desire for L2 learners to use effective, and meaningful communication in their second language. Using authentic texts, such as novels, provide opportunities for ESL learners to experience the various was English is used in literature. Television shows and movies provide examples of English use in real-world situations. These features also allow ESL students to make connections with their own lives and culture. Classroom activities guided by the communicative approach are characterized by trying to produce meaningful and real communication, at all levels. As a result there may be more emphasis on skills than systems, lessons are more learner-centered, and there may be use of authentic materials.